It’s no fun being a liberal when Barack Obama is President. While conservatives condemn Obama as a “big government liberal,” those on the left feel Obama has sold out their causes too many times. Many liberals say Obama backed down to GOP demands on tax cuts as part of his 2009 stimulus package, abandoned the “public option” on health care and sold out on corporate interests. Hates JEWS do you? Get a life loser. We all seem to agree that our two-party system is flawed. It is worse than flawed, it is a dangerous position for Americans to be tolerated. Over the years, many have seen this condition get worse and worse and try to locate a workable agenda with a solution-making candidate. Hell, we can’t even define what is wrong with our current White House and Congress. We argue that the White House is not strong enough in his positions of improvement and then we argue that our House and Senate is so mired in hatred for each other that holding meetings in either branch is harmful. A very small number of voters try to define the problem and we end up verbally fighting until we are thrown off the site. The greatest problem is the understanding that all Americans are equal. I find this a prominent understanding even sitting around the club house as well as the card games around the swimming pool. We all may not be the same color, but we are of a common attitude. We, who can afford to live in Palm Desert are special and therefore equal. It upsets me that in 2012 we continue to label others who share our space on this planet. Sadly the truth is that too many Americans are resentful of having an African American in the White House. Once these people can admit their bigotry the faster they will be able to get rid of it. It may take another 2 generations of children born in America who can see the error of the ways of their parents. In 2008, the voters improved the character of our government and yet the great unspoken improved character of our President has not sold the voters in the 50 states that we are better off with President Obama. The majority of our Congressmen and women are determined to make President Obama look inadequate. The force from the GOP made a concerted efforr to destroy his plans for change along with new plans based on Republican matters. It is a personal decision to bring him down. To add political action to the hatred for our first Black President has done great harm to our fiscal economics in every state in the USA. Under Obama’s care, we are again very close to more wars in the Middle East and North Africa. In the eyes of the White Christian Supremacy core of the GOP, we must bomb all nations who threaten this core. I have no doubt that within in the next 18 months, America will be at war with Islam and our own cities will be under attack. I’m returning to the American Red Cross now that they have opened an office near my home here. With Romney in the White House and no changes made in the Congress, we had all better be aware of trouble in our political leadership. They will win the fight against gays and abortions and they will destroy the school districts in our counties. We must never forget that the church of Latter Day Saints was born and developed as the American Religion just waiting for this day of leadership. The fight for Obama has faded and the illusion of a white American supremacy is leading the pack. Do we shrug or do we stand up and fight back? “They” have the money for their white supramacy fight and we have…..what? Don’t even mention a third party. I’ve been promoting this action only to have every damn candidate shot down by the forum owners, the Newspaper editors; all laughing at our efforts and television stations going after all efforts of introducing a third agenda. There’s not a bit of difference between the two main parties in the US. Obama got the Peace Prize before he’d done a thing, then doubled down on all of Bush’s policies, shredded the rest of the Constitution and moved on to consistently follow the path of least resistance from the Corporations that own Congress. For some reason, the public still buys the trope of liberal media, Democratic out-of-control spending, and Republican conservatism while Republicans will shrink government. None of the foregoing are true. Not a one. Obama disappointed his base, liberal or not, when he furthered the Bush Doctrine. He savaged all citizens with NDAA, his support of various bills restricting protest, and demanded dissent be quashed while bowing to Wall Street demands, no matter how damaging to the US economy or the dollar. Corporate shills are not equal. Warmongers are not equal. Starting a trillion-dollar war that cost the lives of somewhere north of 150,000 human beings is not quite the same as losing a half-billion dollar drone that might have killed a dozen people. Speeding through a school zone at 45mph is bad, dangerous, and unlawful. Speeding through a school zone at 160mph is bad, dangerous, and unlawful, but it’s not quite the same thing. The Earth is flat. I am six feet tall. Both of these statements are wrong – But which is more wrong? And, as has been pointed out ad nauseum, sometimes Sophie’s, or Hobson’s, choice has to be made. Feed the parking meter or get a ticket? Both cost money, but that doesn’t make them equal. Which would you prefer? The less of two weevils argument. Nevertheless, both are evil aren’t they? From a Progressives pt. of view neither give a damn about the 99% out here. Obama just wants to do the same things as Mitty, but at a slower pace. No Nat’l party represents the people anymore. Take you pick of one of the wings of the money party as Nader calls the two so called parties. I prefer neither. The less of two weevils…Ha. The reason the left still supports Obama is the same reason for the right’s support of Romney – hatred of the other side. It is the very essence of identity politics, and the ruin of this country. Obama is just another Corporatist shill. He’s done nothing for the left why should they support him? Obama– aided and abetted by cowards and collaborators in Congress — violated his sworn oath to support and defend the Constitution. End of story. Anyone who votes for Obama in 2012 is either a fool or a fascist. The problem is the Republican-Tea Party has no interest in defending the Constitution either. We’re in a lose – lose situation. To myself, the great mystery is why on Earth any one still believes in either of them. Liberals are right to be disappointed, because this nation needs major changes. Look at history. When life became intolerable under British rule, the colonists followed those Massachusetts liberals to independence. When the libertarian Articles of Confederation failed miserably after only six years in existence, the nation turned to Northern Virginia progressives for a Constitution, then a Bill of Rights. When far-right slave states tried to destroy the nation in hopes of keeping slavery for eternity, the nation relied on a Midwestern liberal Republican to preserve the union, end slavery and begin a movement for protection of rights. When right-wing economic theories put into practice during the 1920s led to the Great Depression, the nation relied on an aristocratic New York liberal to save capitalism, preserve democracy and prevent a Marxist revolution. After a century of promising equal rights for all Americans, the nation got serious in the 1960s under a rabble-rousing Southern preacher and a semi-corrupt Texas Democrat to enact civil-rights legislation. Whenever the nation needed improvements or saving, it always went to the left. It needs to do so again. What has the right given the nation. When those Mass. liberals were leading the way to independence, the nation had about 500,000 far righties and 10% of them abandoned the colonies to side with great Britain with many, led by Gen. Benedict Arnold, taking up arms to fight against independence. When it came time for the Constitution, righties who hadn’t abandoned the newly independent nation tried to have two or three separate nations tying to preserve slavery. As for the Bill of Rights, it was the right that opposed one in the new Constitution even though Virginia had a successful one in its Constitution. Numerous tax cuts for the aristocracy and letting corporations run wild throughout the the ’20s ended in the Great Depression. That’s the recipe from the political and economic right for an economic paradise and was tried again in the ’80s by Ronald Reagan and a third time by Buffoon Bush with similar results to the ’20s, except New Deal protections the right is now trashing prevented another Great Depression. Forty Americans had to be murdered by severe right-winger extremists in the ’60s to get the equality the Constitution had promised to all Americans for a full century, but failed to deliver. Liberals have every right to be disappointed with Barack Obama because he prefers to nibble around the edges of a corrupt system rather than lead the way to an improved America that bygone liberals managed to accomplish. What country are you talking about? If you don’t know that, you are part of the problem of a once-great nation trying to crawl out of the dustbin that right-wing diddly squats put it into. I won’t deny that Republicans are part of the problem. What I don’t buy is the notion that the Democrats are not. I don’t deny that Republican policies are flawed. What I don’t buy is the notion that Democrat policies are any better. For the most part they are worse. This once great nation was founded – and prospered – on the ideals of liberty and limited government. Neither party represents these ideals, as both believe that more government is the solution to the problem of too much government. And in true partisan fashion, you ignore the “progressive” policies of the early 1900’s, in particular the income tax and the creation of the Federal Reserve, and their roles in creating the predicament we find ourselves in today. Policy-wise there is precious little to differentiate the two parties, campaign rhetoric notwithstanding. It’s all about maintaining power, and both will do or say any thing in order to hold onto it. This country is floundering, and with each administration it gets worse – regardless of the party in power. And come 2012, regardless of who wins the presidency, we will continue down this path. You seem a tad bit out of touch with reality. When Obama was elected, the economy was losing up to 9% of its value. Now it is growing 2% to 3% annually. That is worse? The last month of Buffoon Bush’s reign 800,000 jobs were lost. Now we are adding an average of 200,000 a month. That is worse? Those were Great Depression numbers but we avoided a real depression. That is worse? We have at least ended one of Buffoon Bush’s wars (the unnecessary one). That is worse? The Founding Fathers never said a word about how big the government was to be nor how small. Where does the Constitution specify small government, big government, medium government? My graduate study was in Constitutional Law and I can’t find such a provision. If you paid attention in 2009 when Tea Party thugs disrupted town-hall meeting discussing health insurance reform. They wanted nothing for other people, but ”keep you government hands off my Medicare.” I.E. their version of “limited government” was to limit government benefits only to themselves. If you would actually read something important, such as the book “Saving America: Using Democratic Capitalism to Rescue the Nation from Economic Folly” you will see how the income tax actually protects some people; usually the people who hate it the most. You would have to know how taxes were collected at the nation’s beginning to see the protection. It is obvious you don’t. You would also learn that Democratic policies (actually leftish policies) are better for the nation than are Republican (righty) fantasies. Name one right-wing action or program that has actually made life better for ordinary Americans. Just one. As for liberty. The Bill of Rights specify some of our liberties. The political right hates every one of those liberties and has done an incredible job undermining them. 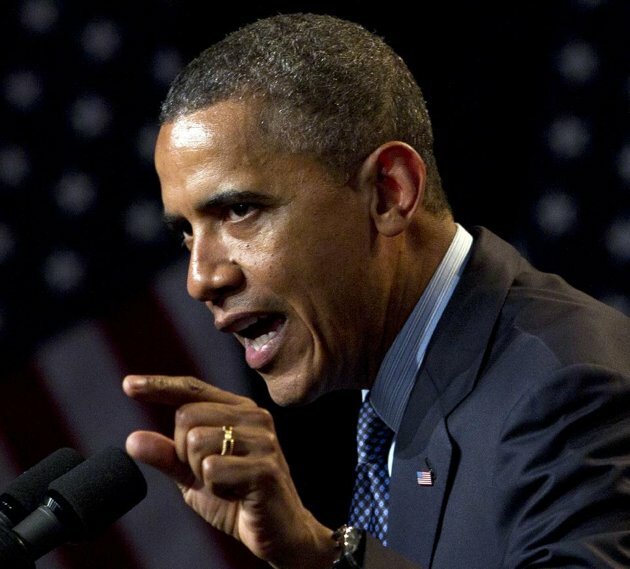 Obama can be faulted for continuing some of the GOP policies, but he didn’t initiate them. If you were serious about liberties you would support organizations that fight for your liberties, such as then ACLU or National Lawyers Guild. Other areas of liberties are those in which the Constitution is silent. Such as; government has no authority to intrude into our love lives or marriages (GOP is in there all the time). Government has no say on a woman’s decisions about her pregnancy (GOP has a fetish about regulating pregnancies and when it can’t do that, it regulates the speech of women, their advisors and health providers). The Constitution says nothing about government regulation of family planning; our patriotism or lack of such; what we can inhale, ingest or insert into our bodies; our travel; and many other things on the right-wing agenda. Supreme Court decisions (by the leftish courts, of course) also add to our liberties. Such as government separation of races (negated by the left); trial of civilians by military tribunals (outlawed by Ex parte Milligan in 1868 but the GOP has made that impossible now as well as being tried in the district and state where the crime occurred). The right whines that the left loves “big Government” but government is always bigger under the right. Big Government is not a problem in a big nation; Big Brother government practiced by the right is a huge problem. We all know that any number of “facts” and figures can be made to support any one’s position. Bill Clinton took credit for an economy that he really had nothing to do with – the personal computing/internet revolution. The figures I go by are real unemployment and the deficit. The rest are just used as partisan tools. Unemployment is up and remains so, regardless of how many “jobs” were created – numbers which are always revised downward a month or two after the “official” numbers come out. Unemployment can not go up without a net loss of job. It is not and should not be the government’s (be it Republican-led or Democrat-led) to control the economy or interfere with the free market. Government does not create jobs (unless, of course, We’re talking about their own self-perpetuating existence and expansion). This is a fallacy. And now you paint me as some kind of racist. Yeah, I was waiting for that. Yeah, Obama ewas a constitutional scholar as well. He gave us mandatory healthcare at the behest of his corporate sponsors. I guess the government is only allowed to interfere in our lives when a Democrat is at the helm, yes? But you keep on drinking the partisan Kool-Aid Thomas. Some one has to do it. I prefer not to. I see reality for what it is, and I prefer to read books that expand my knowledge, devoid of partisan blather. These are the people I learn from and admire. Our dear “leaders” of today aren’t even in the same galaxy in comparison. I would recommend reading “Founders” by Ray Raphael. One of a vast collection of books I’ve read on the subject of our founding. I hope you don’t mind but I am copying your statement so that i can be prepared to debate any right wingers I encounter. I loved it, thanks!